Waguespack’s purchase of the plantation in 1877 began a timeline of family ownership that has continued unbroken to this day. His descendants have traveled from all over the country to lovingly restore St. Joseph Plantation and its outbuildings. The extended families have kept both St. Joseph and its sister plantation, Felicité, thriving since the 19th century. Today, most of the guides giving St. Joseph Plantation tours are family members, who are proud to share this grand and priceless piece of their heritage. Here, visitors can explore the antique furniture-filled rooms of the main house, the original slave cabins and other dependencies on the grounds. There are interesting exhibits that include tokens used to pay freed slaves who labored here after the Civil War, old farm equipment, and a short film on the sugar cane process. 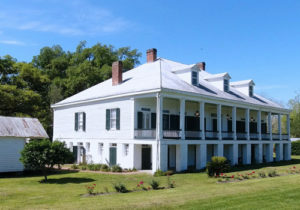 And not surprisingly, with its deep history and idyllic beauty, St. Joseph Plantation has become a popular backdrop for weddings and other special events.